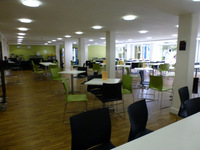 Services / facilities within the building include staff offices, library and classrooms. 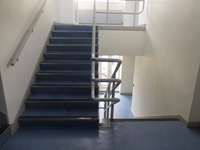 To view the DisabledGo access guide for Gainsford Lecture Theatre please click here (new tab). 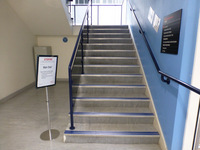 To view the DisabledGo access guide for Wolfson Lecture Theatre please click here (new tab). To view the DisabledGo access guide for DHC/CRM02 please click here (new tab). To view the DisabledGo access guide for DHC/CRM03 please click here (new tab). To view the DisabledGo access guide for DHC/CRM04 please click here (new tab). To view the DisabledGo access guide for DHC/CRM05 please click here (new tab). 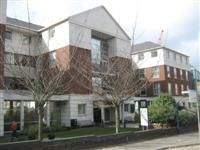 To view the DisabledGo access guide for DHC/CRM06 please click here (new tab). To view the DisabledGo access guide for DHC/CRM08 please click here (new tab). To view the DisabledGo access guide for DHC/CRM09 please click here (new tab). To view the DisabledGo access guide for DHC/CRM10 please click here (new tab). To view the DisabledGo access guide for DHC/CRM11 please click here (new tab). To view the DisabledGo access guide for DHC/CRM12 please click here (new tab). To view the DisabledGo access guide for DHC/CRM B (SCR) please click here (new tab). 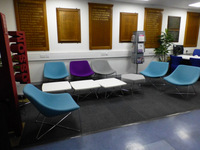 To view the DisabledGo access guide for Weston Education Centre Boardroom please click here (new tab). 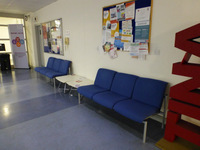 To view the DisabledGo access guide for Gainsford Breakout Room/Gym please click here (new tab). To view the DisabledGo access guide for DHC/CRM13 please click here (new tab). To view the DisabledGo access guide for DHC/CRM14 please click here (new tab). 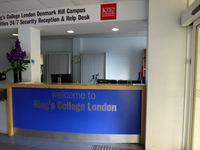 This venue is situated in the Denmark Hill Campus-King's College Hospital. The nearest National Rail station is Denmark Hill. 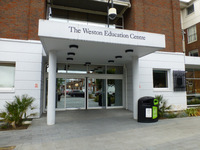 The Weston Education Centre is located centrally on the West side of the Campus, adjacent to King's College Hospital. The name of the car park is Hospital Main Car Park. The car park is located opposite the building. 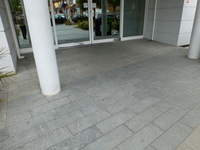 The dimensions of the marked Blue Badge bays are 200cm x 500cm (6ft 7in x 16ft 5in). On street Blue Badge parking is located in Venetian Road. 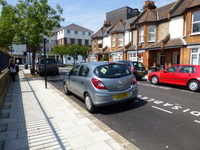 Standard marked parking bays are located in Venetian Road. 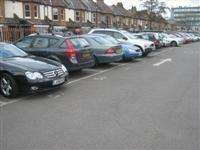 A small number of adjacent car parking spaces, with step free access may be availalble, depending on availability, if booked in advance. The width of the door opening is 204cm (6ft 8in). There are seats without armrests in the waiting area in the foyer. You are on Level Change (Gainsford Lecture Theatre). Skip to the next section. 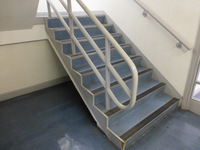 The step(s) is/are located on the first floor. 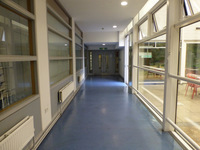 between the main first floor level and the lecture theatre. You are on Lift (Gainsford Lecture Theatre). Skip to the next section. 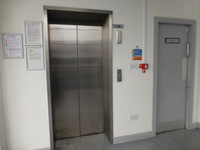 The lift is located on the left of the building after the entrance foyer. 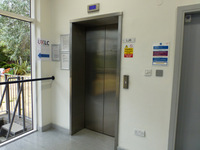 The floors which are accessible by this lift are ground floor and the Gainsford Lecture Theatre. 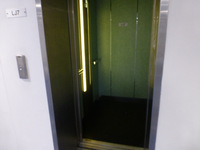 The lift is approximately 90m (98yd 1ft) from the main entrance. 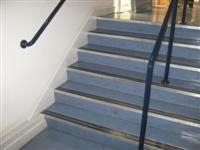 The stairs are located ahead after the entrance foyer. 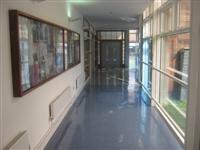 There are similar stairs at the end of the corridor to the left after the entrance foyer (seen in photograph 3), to the right after the entrance foyer (photograph 4) and at the rear of the building (seen in photograph 5). 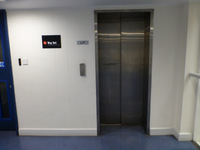 The lift is located ahead after the entrance foyer. 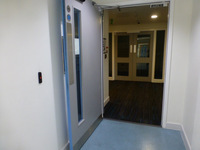 There are manual, heavy, double doors to access the lift lobby on the third floor. 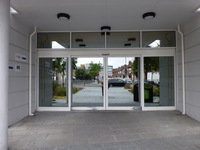 You are on Entrance (Library). Skip to the next section. 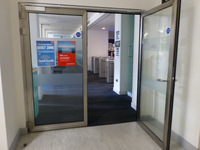 This information is for the entrance located on the ground floor, to the right after the entrance foyer. 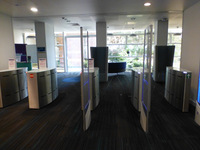 After the library entrance there are security barriers on the right. The two wide barriers are 100cm and there are two standard barriers. This door opens automatically towards you after using a key card and is 108cm wide. 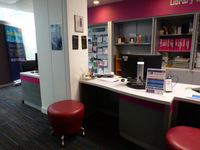 You are on Reception (Library). Skip to the next section. 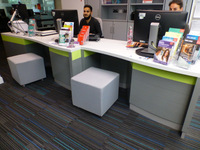 The desk/counter is 4m (4yd 1ft) from the library security barriers on the ground floor of the building. 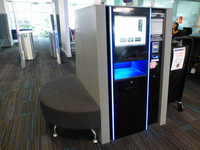 Touch screen self service machines are also available. 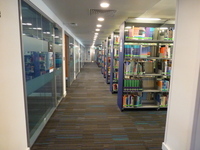 The library is based on the ground and first floors of the building. 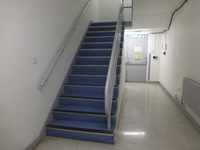 Those unable to use the internal stairs may have their swipe card coded to access the entrance from the first floor, which can be reached by the main lifts. 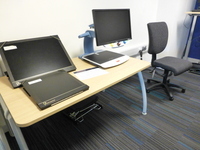 There is an assistive technology room on the first floor where the specialist equipment is located. 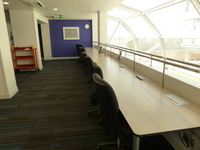 This room can be booked by registered users. 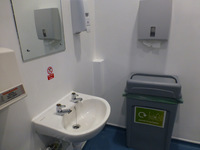 There is an accessible toilet close to the assistive technology room. 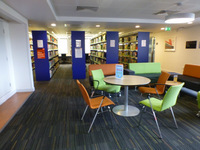 All college libraries have access to the accessible format service, which enables texts to be converted to Braille or other media. 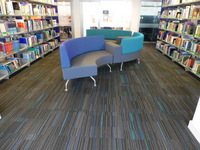 Please see the link in the introduction for library opening times. 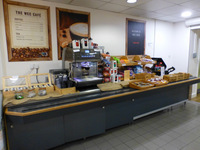 You are on Counter (Student Services). Skip to the next section. 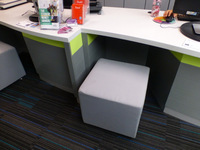 The desk is 5m (5yd 1ft) from the ground floor library entrance. Student Services is located ahead as you enter the library. 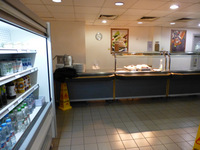 There is step free access to this counter. The lighting levels in this area are good. 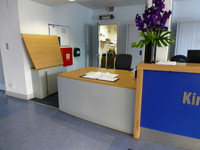 The reception counter is low (76cm or lower). 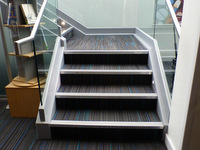 The floors which are accessible by stairs are from the ground floor to the first floor of the library. 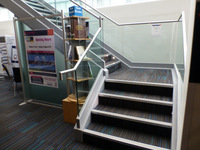 The stairs are located ahead as you enter the library. 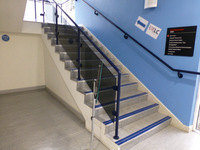 The stairs are approximately 10m from the library entrance. 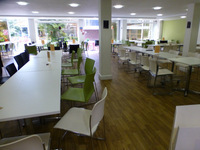 You are on Eating and Drinking (Refectory). Skip to the next section. 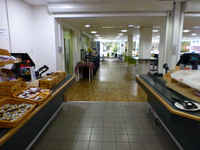 The restaurant is located on the ground floor of the building, to the far left after the entrance foyer. 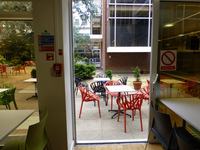 From the dining area there are several sliding doors to give access to the additional seating in the courtyard. 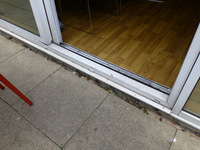 There is an 18cm step down at the doors. You are on Accessible Toilet (Ground Floor Foyer - Left hand Transfer). Skip to the next section. 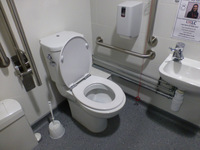 This accessible toilet is located to the right after reception desk. 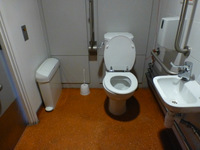 The dimensions of the accessible toilet are 160cm x 205cm (5ft 3in x 6ft 9in). You are on Accessible Toilet (Ground Floor Locker Area - Left Hand Transfer). Skip to the next section. 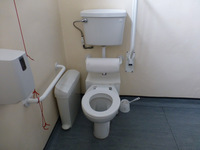 This accessible toilet is approximately 40m (43yd 2ft) from the main entrance. 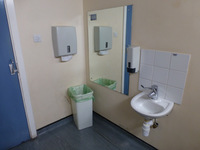 This accessible toilet is located in the locker area, off the corridor to the left after the entrance foyer. 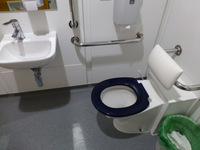 The dimensions of the accessible toilet are 170cm x 224cm (5ft 7in x 7ft 4in). This room is also used as a shower room, with the shower controls at standing height. You are on Accessible Toilet (Library First Floor - Left Hand Transfer). Skip to the next section. 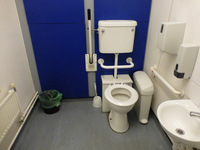 This accessible toilet is approximately 15m (16yd 1ft) from the library first floor accessible entrance. 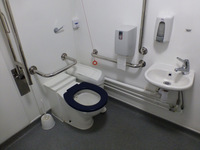 This accessible toilet is located to the right as you enter the library from the first floor accessible entrance. 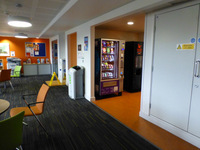 The toilets are close to the lounge and vending machine area. 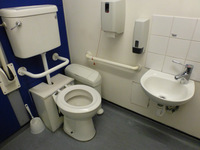 The dimensions of the accessible toilet are 150cm x 240cm (4ft 11in x 7ft 10in). There are coat hooks in the toilet at 107cm and 142cm from the floor. You are on Accessible Toilet (Second Floor - Left Hand Transfer). Skip to the next section. 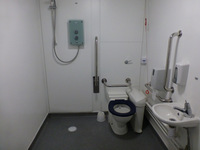 This accessible toilet is approximately 75m (82yd 1in) from the main lift. 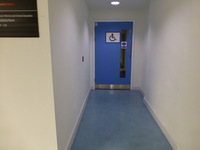 This accessible toilet is located to the left as you exit the lift on the second floor, then follow the corridor all the way round to the left towards the rear of the building. The height of the soap dispenser is 83cm. You are on Accessible Toilet (Second Floor - Right Hand Transfer). Skip to the next section. 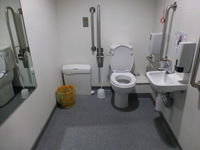 This accessible toilet is located to the right as you exit the lift on the second floor. 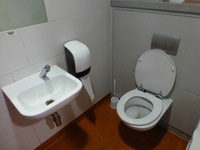 The dimensions of the accessible toilet are 210cm x 310cm (6ft 11in x 10ft 2in). You are on Accessible Toilet (Third Floor - Right Hand Transfer). Skip to the next section. 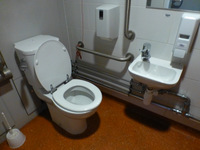 This accessible toilet is located to the left after the entrance to the office space on the third floor. 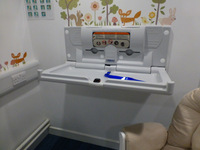 The dimensions of the accessible toilet are 158cm x 230cm (5ft 2in x 7ft 7in). 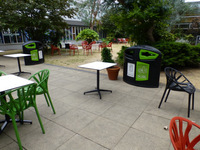 The female and male toilet facilities that were surveyed are located on the right of the entrance foyer. 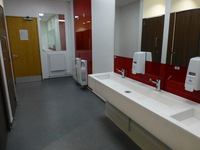 The shared toilets that were surveyed are located on the first floor of the library. 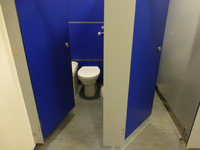 The shared toilet(s) is/are approximately 25m (27yd 1ft) from the main lift, using the accessible entrance into the first floor of the library. 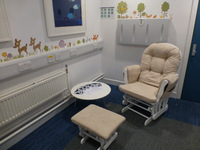 Baby change facilities are located in the parenting room on the upper first floor, near to the Gainsford Lecture Theatre and lift. 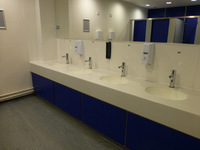 two sets of male and female standard toilets on the first and second floors and further toilets on the third floor. 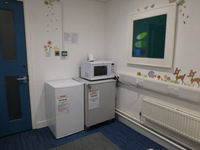 The parent room (shown in photographs 6 - 10) has a standard toilet cubicle as well as a feeding room which includes a rocking armchair, fridge with lockable storage boxes and a microwave.